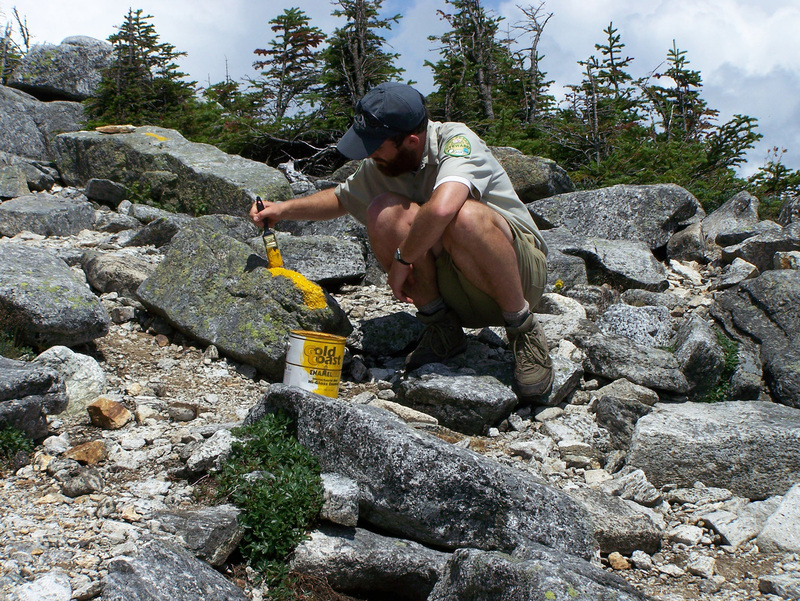 Summit stewards educate hikers to enlist their help in protecting alpine species from trampling. We hike to the summits of the tallest mountains every day and speak with every visitor about protecting alpine plants from human trampling by staying on the solid rocks. We are on Mt. Marcy and Algonquin Peak seven days a week from the beginning of June through Labor Day. In 2017, summit stewards spoke with over 31,000 hikers. Read about the experience of a Summit Steward. 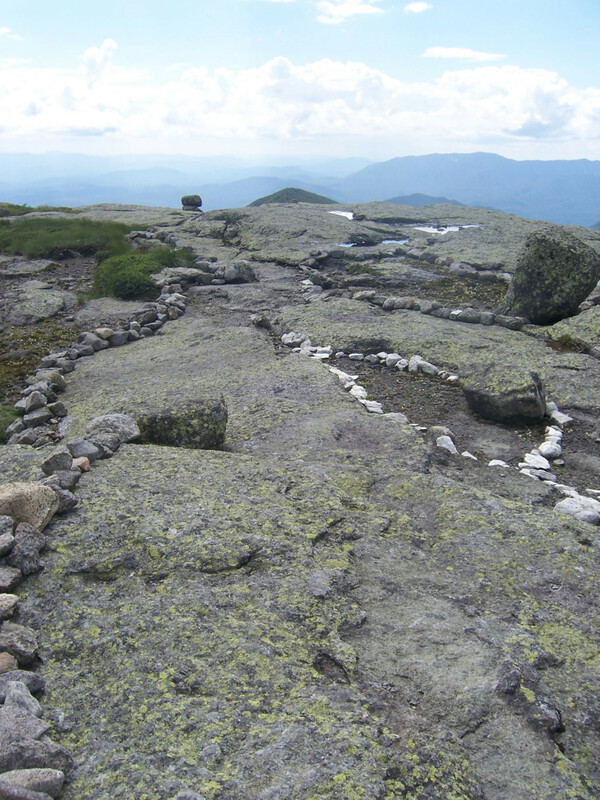 Summit Stewards also do trail work to protect alpine plants. 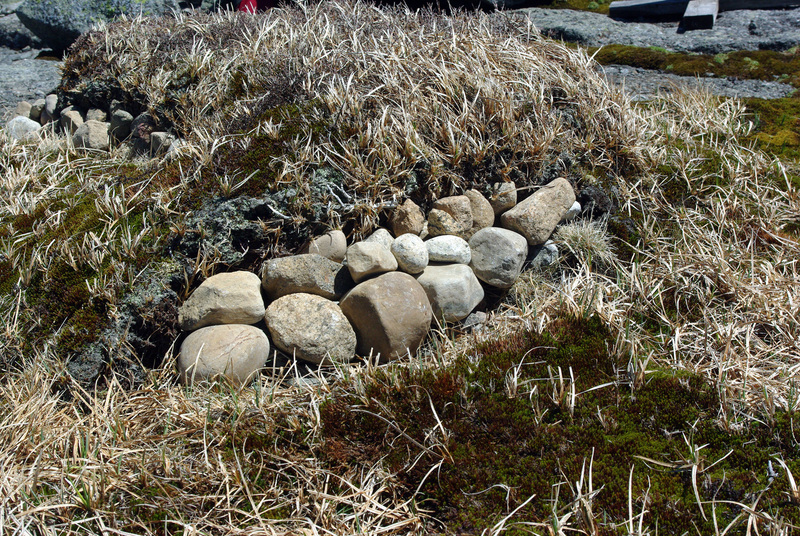 We build scree walls and cairns to guide hikers and define the trail. We pack areas with rock to prevent soil erosion. Hikers help us do this work by participating in the Carry-A-Rock program. Summit stewards complete research projects examining plant communities, recovery from trampling, and rare species. Read a Summit Steward research paper comparing recent and historical photos to examine alpine recovery. Dr. Ketchledge: The Summit Steward program was founded by and is an outgrowth of the alpine restoration efforts of Dr. Edwin Ketchledge. Learn more about Dr. Ketchledge’s work. The summits need your help! Donate today. 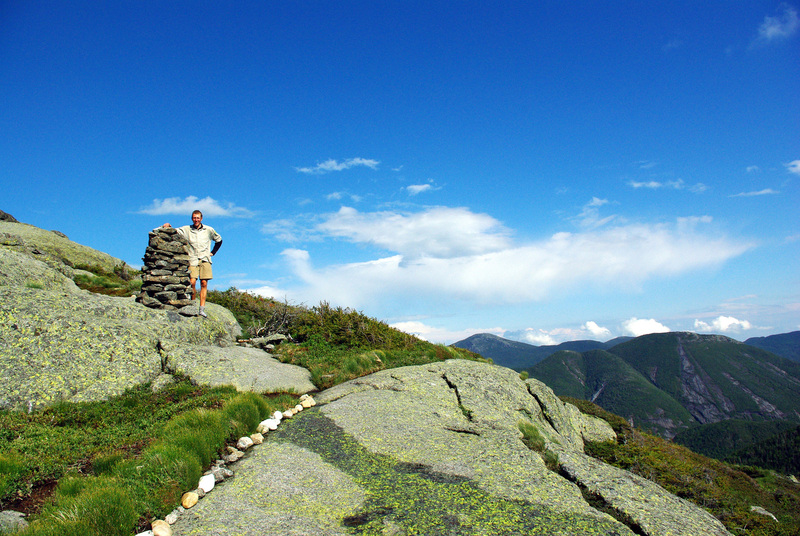 Do the Rock Walk: Above treeline, stay on solid rock. Carry-A-Rock: Bring a rock from the pile at the trailhead to the sign at the top of Marcy, Algonquin, Wright, or Colden for Summit Stewards to use in trail work. Spread the Message—Volunteer: Is hiking a mountain your idea of fun? Does spending the day on a summit talking with hikers sound like paradise? Are you hardy to the elements, like alpine plants? Then we have the position for you! We’re looking for a few dedicated, hardy souls to join the volunteer Summit Steward program. Volunteer stewards encourage hikers to walk on the solid bedrock above timberline, answer questions, do trail work, and participate in research on the summits. They help the Summit Steward Program provide coverage on additional peaks and help with essential projects. Contact Kayla White to get involved!